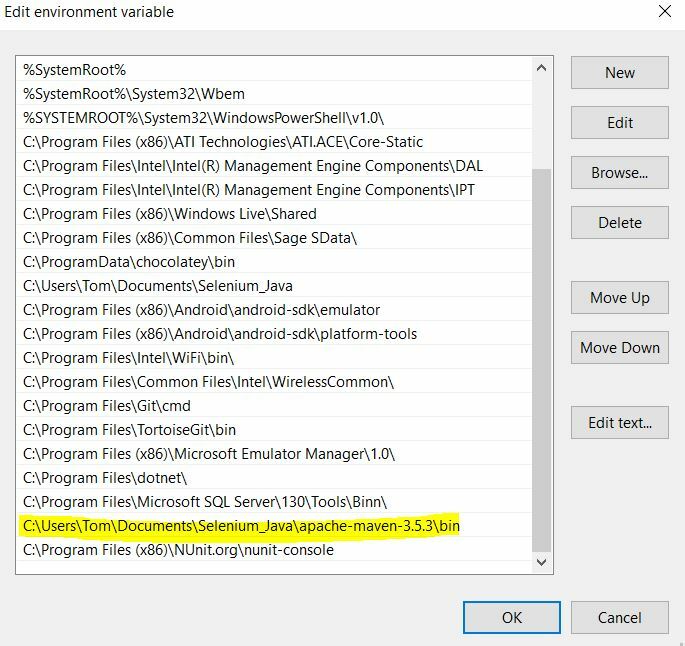 Add a Windows environment variable (system properties, WinKey + Pause -> Advanced System Settings -> Environment Variables) JAVA_HOME to point at the JDK directory. Download Maven from https://maven.apache.org/download.cgi and extract the zip to a location of your choice. Open a new command prompt (Winkey + R then type cmd) and run mvn -v to verify the installation. File->Project Structure… Click on SDKs on left, click the ‘+’ add button and add the path to your JDK install from earlier. Choose a location to save the project and finish. 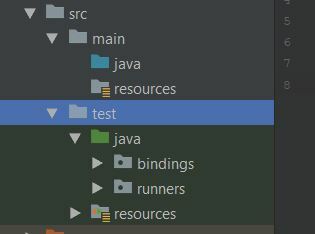 Expand the project structure, and under src/test/java we will create some packages to store our code bindings and runners. Right-click on the test folder, and add new directory, call it resources. 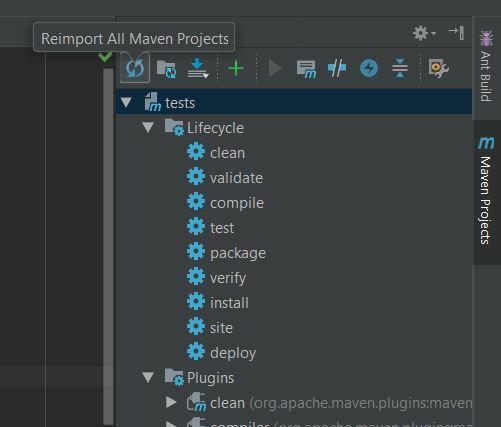 We now need to specify all the project dependencies using the Maven POM. Obviously keep your project definition at the top as it was, it is only from the <properties> section onwards that you need to add. 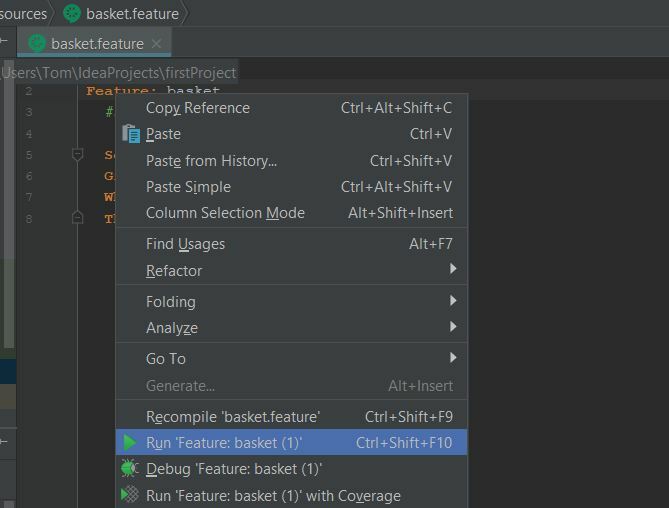 Now on the right-hand side of the IntelliJ IDE, click Maven Projects tab to show Maven lifecycle. Now click re-import Maven Projects button to update from the POM. The Feature has no code bindings so in the Run pane at the bottom of IntelliJ, it will suggest some boiler-plate code bindings for you. Select these and copy to the clipboard. Right-click on our bindings package in the Project Explorer and choose New->Java Class. Paste in your boiler-plate code. Now we can execute the Feature again, and this time it should open a Web Browser and perform the test!! Now we have a working example, let’s execute using Maven. To do this we need a runner script. So now we can use Maven for execution. Open the Maven panel on the right-hand side in IntelliJ and double-click the test phase in the lifecycle. It should run. In the bottom of IntelliJ you can also open the Terminal window and type mvn test and hit enter this should also run! We have created several reports with the code in this blog. We have used the Surefire reporting plugin (specified in the POM.xml), if you look in your project explorer, target/surefire-reports you will see them in there. We have also created some reports using our Cucumber Runner Class. You will find these using Windows explorer under the project there will be a reports folder with html and json cucumber reports. Edgewords provides classroom, online and on-site training in BDD Cucumber (and SpecFlow) as well as Selenium WebDriver (Java & C#), take a look at our course schedules or phone for a quote.